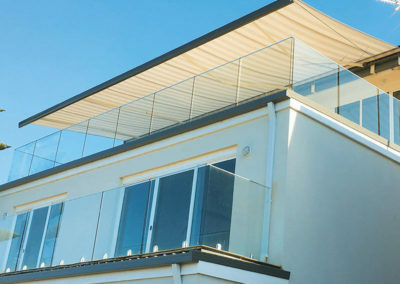 Crystal Image Blinds range of outdoor awning are affordable and easy to use. 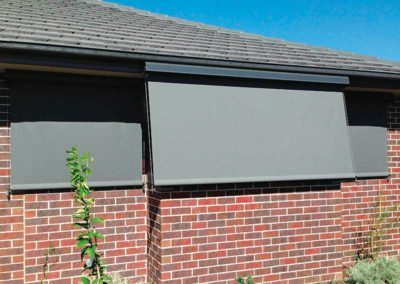 Depending on the awning type, they can be either manually hand-operated or motorised for control from inside your home or shop or office to optimise energy savings. 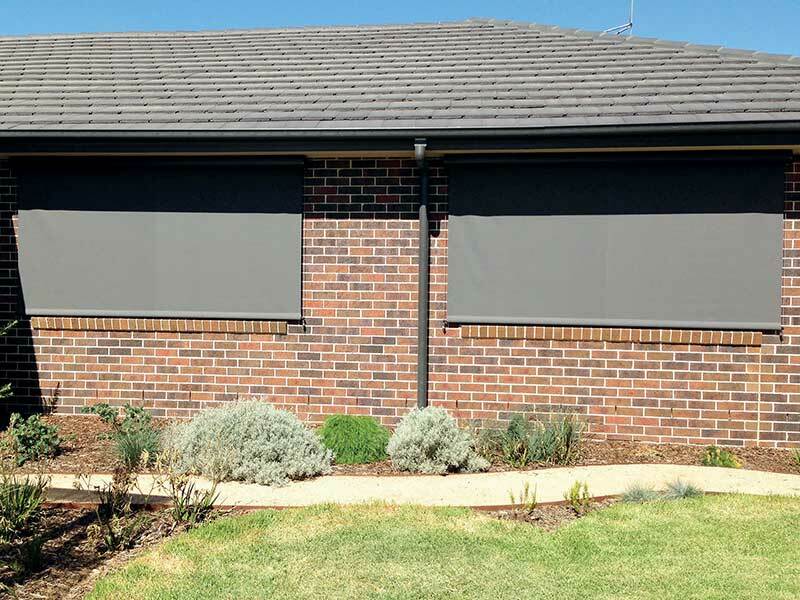 Preventing heat from entering a building through the window can make a significant difference to cooling and energy costs. 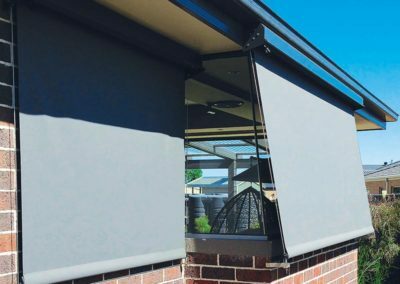 The most effective way of preventing solar heat gain through windows is to stop the heat before it reaches the glass by providing shading from an outdoor awning. 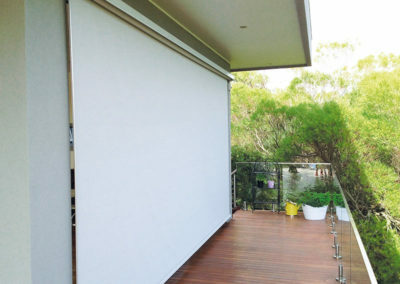 Roll-up fabric awnings can reflect 70% or more of the heat before it reaches the window and have the added benefit of being retracted during winter to allow winter sun to enter the building to reduce heating costs. 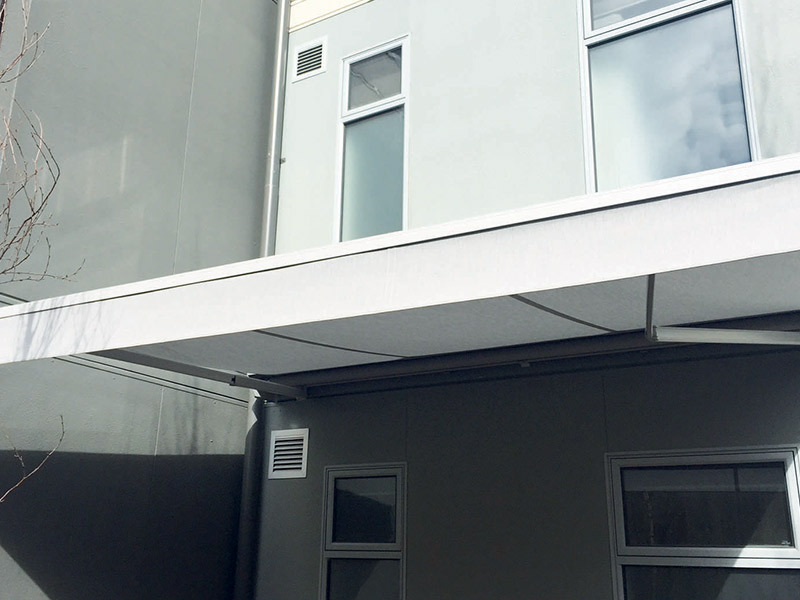 Our range of commercial outdoor awnings also have both environmental and employee benefits too giving office and buildings employees the optimum combination of light and heat control, privacy as well as the view to the outside. 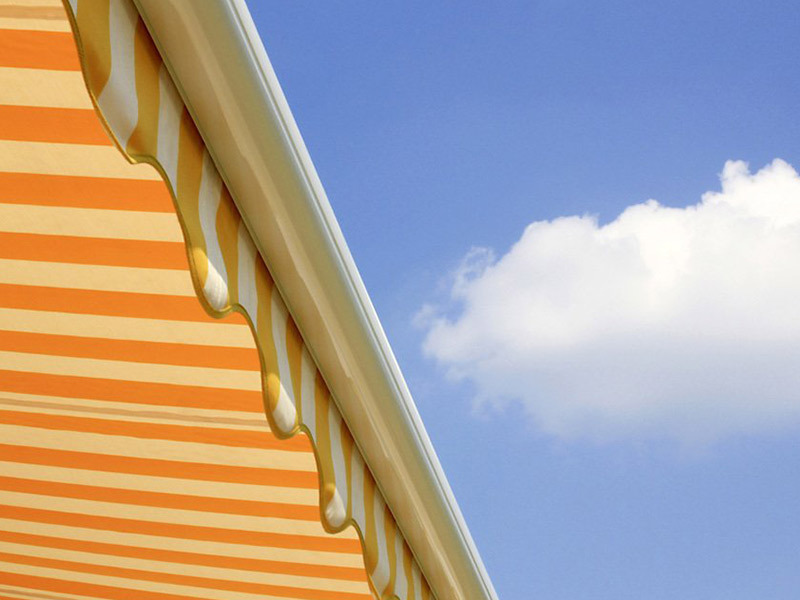 But not on quality or style with our exhaustive range of awnings for homes and commercial buildings. 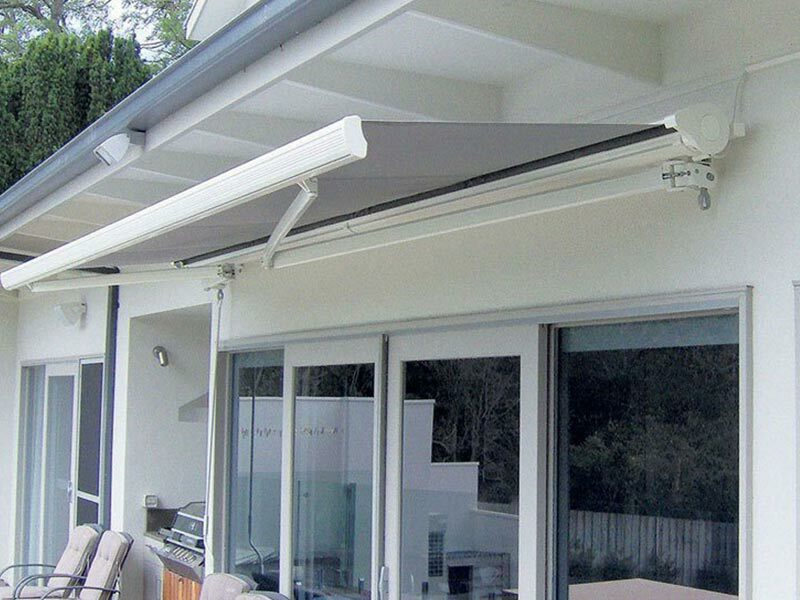 Pivot arm awnings and roll-up awnings adds privacy and offer protection from the heat. 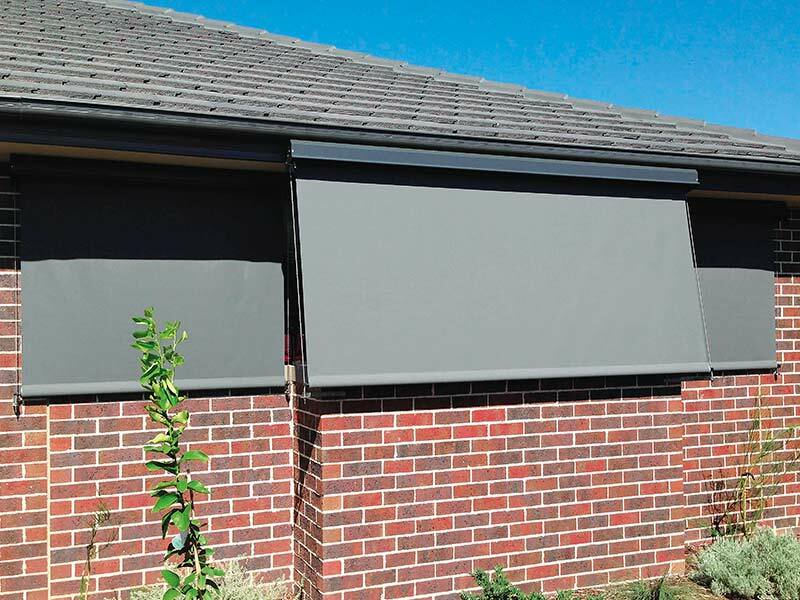 They keep your home or workplace cool and reducing your energy bills. 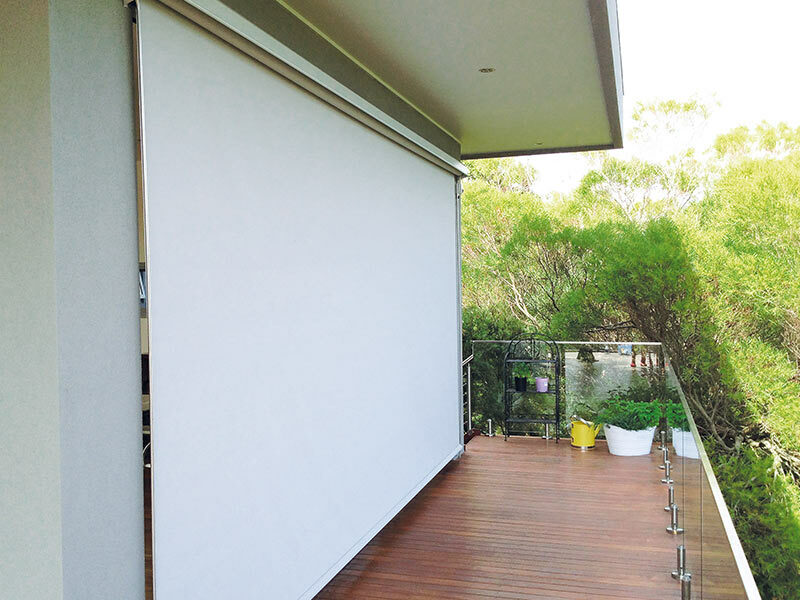 They are particularly effective and useful for large windows. 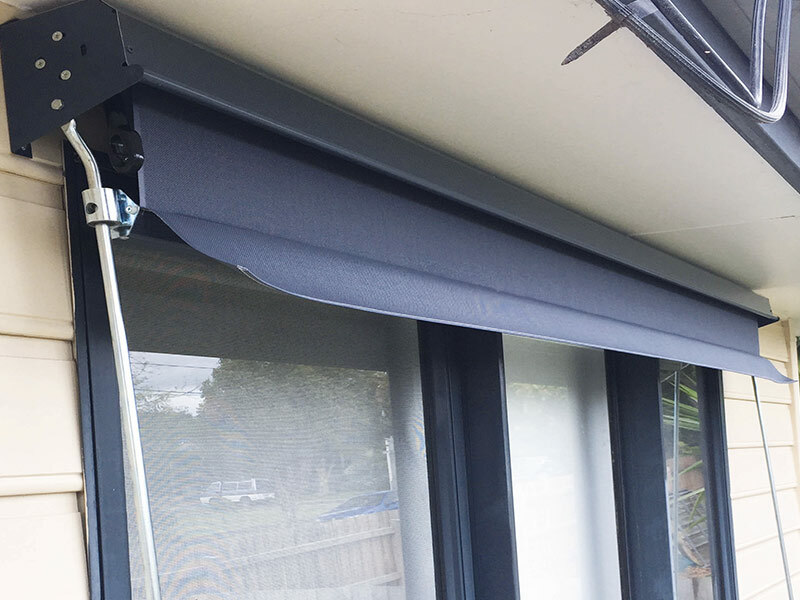 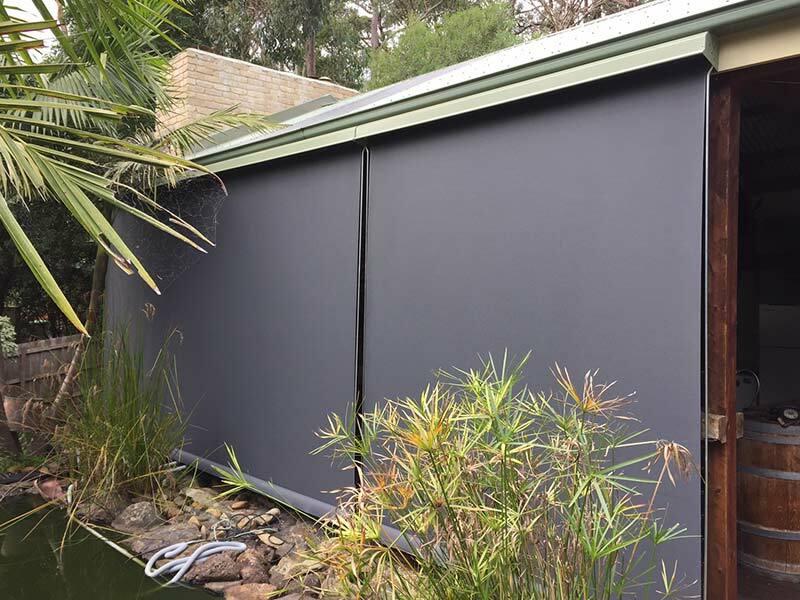 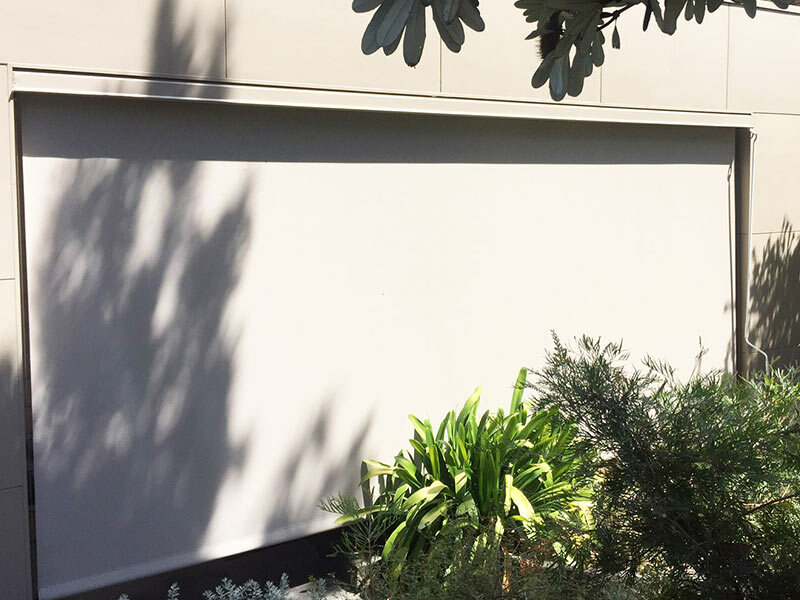 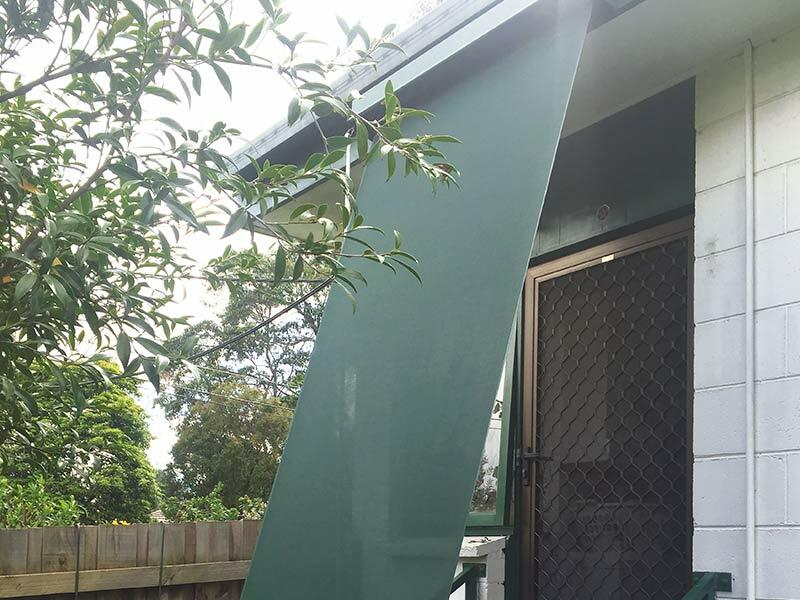 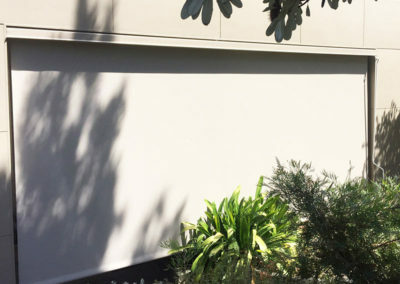 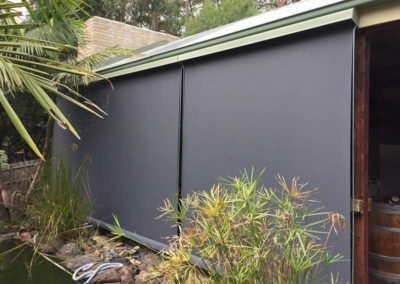 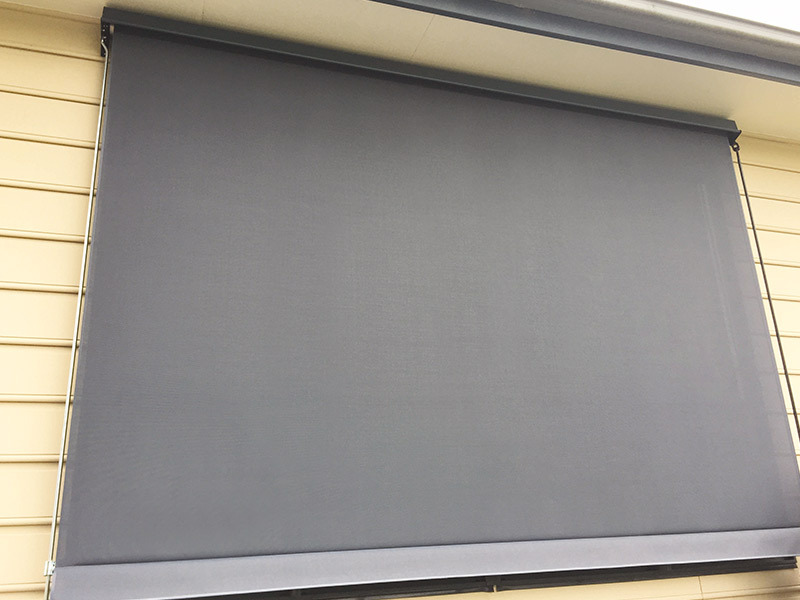 Fixed guide awnings offer long lasting protection against the harsh heat a Melbourne summer can bring. 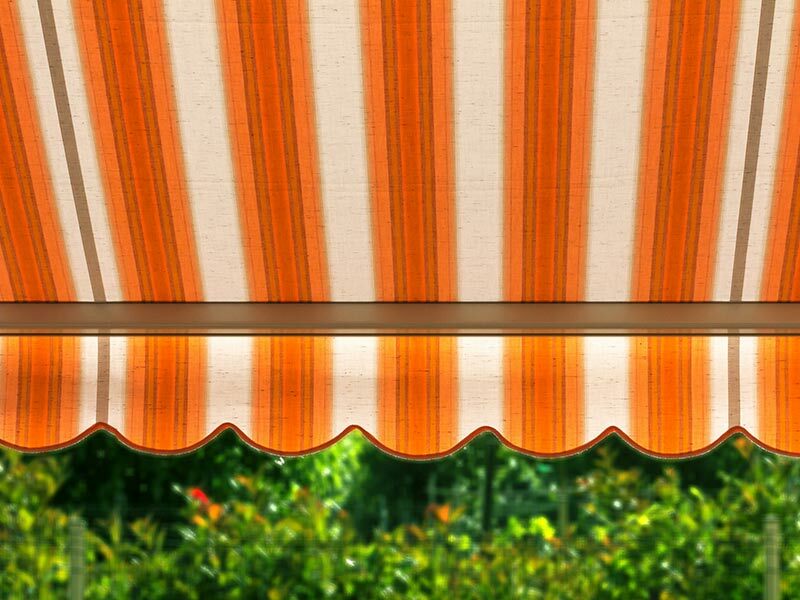 They’re the perfect awning choice to cover bedrooms and living room windows. 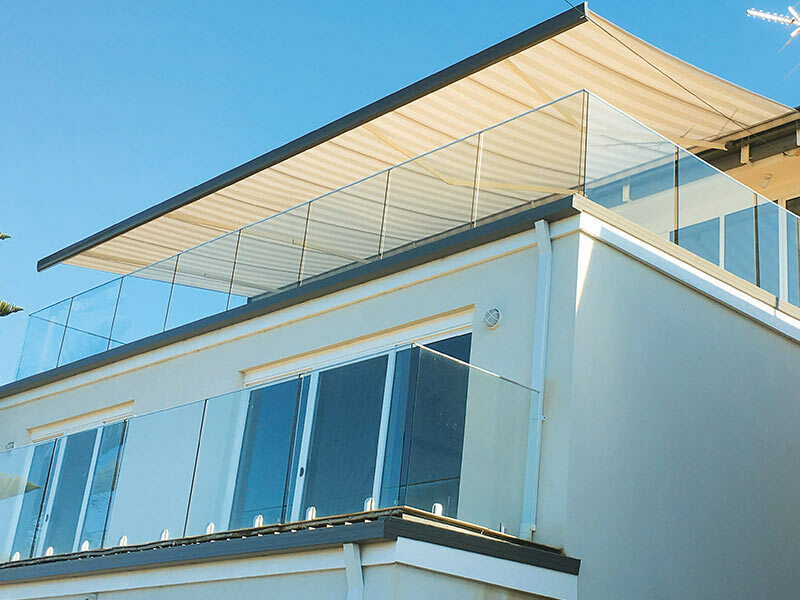 Wire guide and side channel awnings are both versatile solutions for enhancing the privacy of pergolas and patios, and for reducing the amount of wind and rain entering an alfresco dining area. 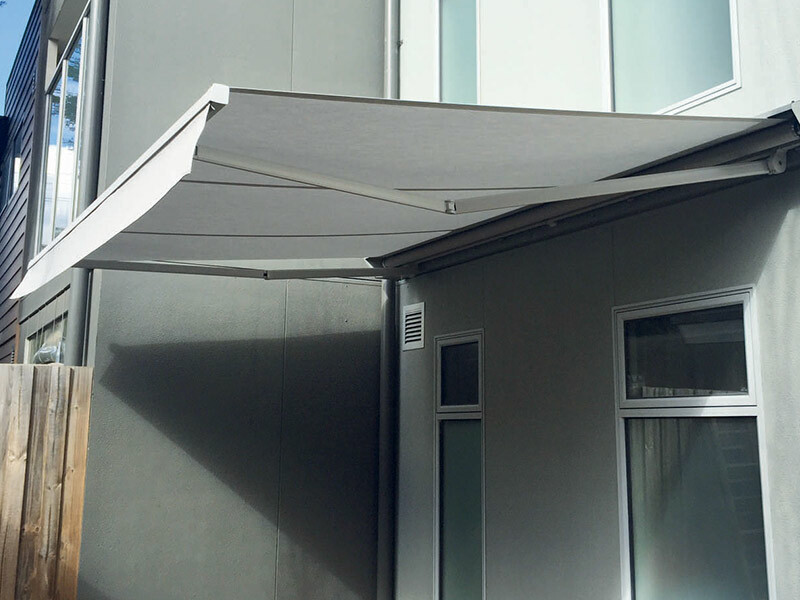 Folding arm awnings provide shade in outdoor areas including, alfresco dining areas, pools and patios, where there’s no shade structure in place. A Folding Arm Awning is also retractable which can provides an extension of shade when needed. Shop front awnings have become a traditional part of Melbourne’s retail landscape. 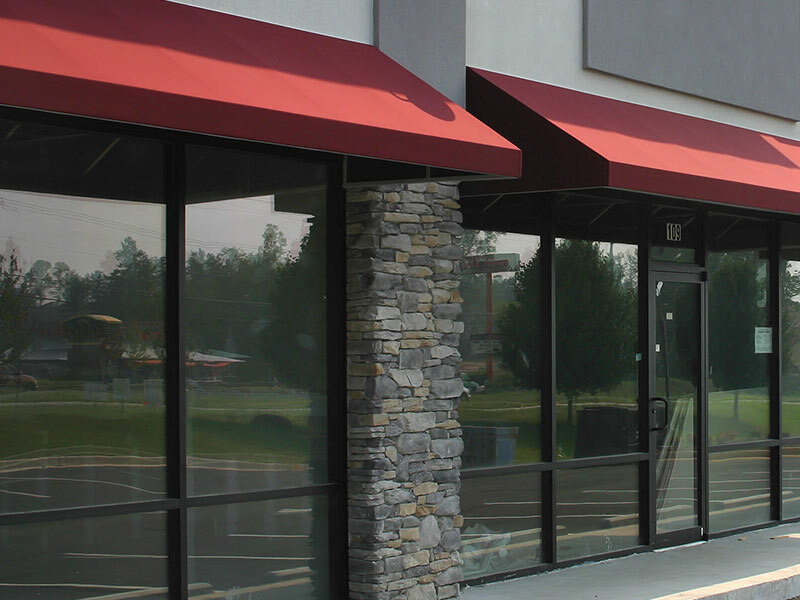 Vertically oriented awnings are custom made and attached to the front of permanent shop awnings, allowing protection for shops and their clients from the summer heat. 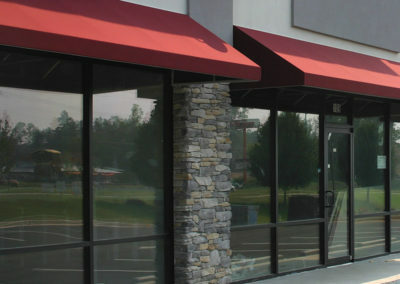 These awnings are particularly suitable for sign writing and become an integral part of the image of a store.